Your local Family Centre is a place to meet other parents and children in a supportive environment. It is somewhere to take your child to play, whilst learning new skills that you can use at home. Mums, dads, grandparents and other carers are all welcome and can get support with the health, learning and development of their children, giving them the best start in life. You can use any of the Children’s Centre in Sheffield and lots of their activities are held at other venues, such as libraries or community centres. They can help you with information and advice about health services, family support, employment and family learning. If your family is expecting a baby or you have children under 5, Children’s Centres are your one stop shop for information and advice. Get in touch to see how they can help and find out what is available near you. You can find your local centre at the Family Centre page of the Sheffield Directory website and download the ‘What’s On guide’ for the Family Centre nearest to you. There is an Infant Feeding Peer Support Worker attached to each Family Centre. They offer support with breastfeeding and hold cafes and drop-ins on a weekly basis. – Breastfeeding mums – one free 8 week supply on discharge from the maternity unit. THE FREE HEALTHY START VITAMINS WILL BE AVAILABLE FROM SHEFFIELD CHILDREN’S CENTRES FROM 1ST SEPTEMBER 2016. Ask your Midwife or Health Visitor about them. 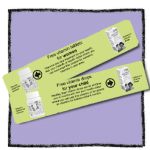 Healthy Start vitamins are available from your local Children’s Centre. If you are supported by Healthy Start, you are entitled to free vitamin tablets, during pregnancy and until your baby is 1 year old. Your children can get vitamin drops from 6 months old until their 4th birthday. The earlier you take the vitamins in your pregnancy the better. 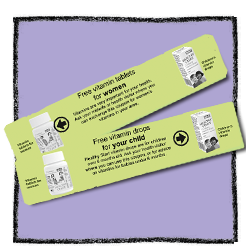 All you need to do is swap your green vouchers at the nearest Children’s Centre to get free supplements containing folic acid, vitamin C and D (see the link below for details of why these vitamins are important).